Brrrrr! It was a cool 20 degrees when I took Zach to work this morning at oh-dark-thirty. Whew! I need to go buy long johns I guess. 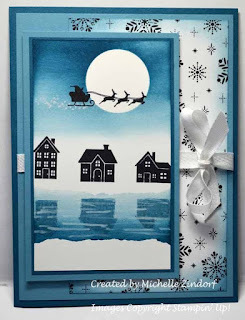 I thought this card would be perfect for today's share. 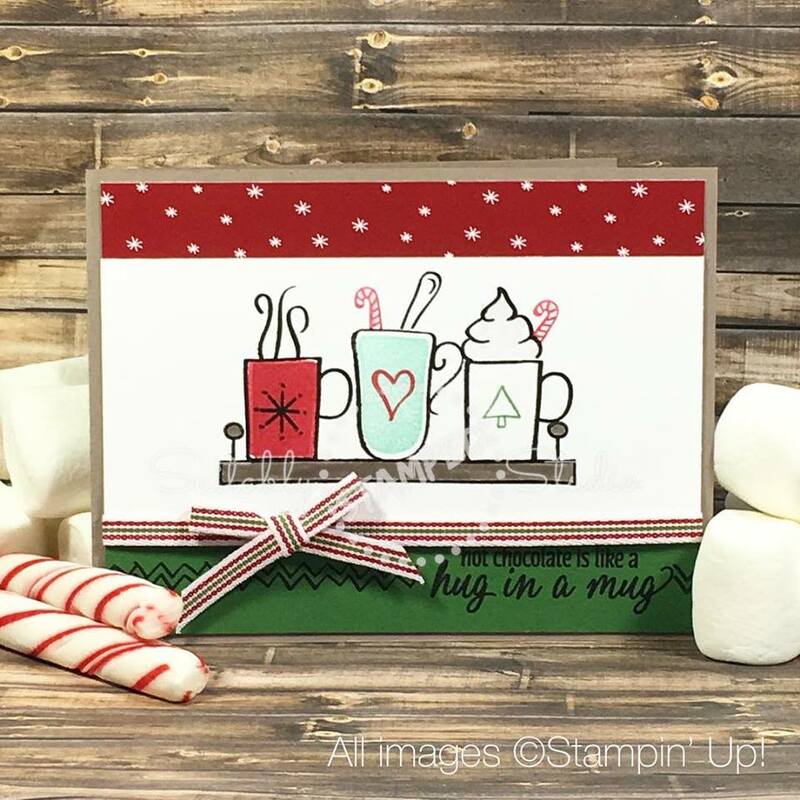 I think that the "Hug in a Mug" stamp set was a "sleeper" in this year's Holiday catalog. It is absolutely stinkin' cute and needs to be shared. Look at these adorable images. I have been having a blast building all sorts of mugs with it. I'm planning to use it for my winter birthday cards too. How fun is THAT?? Remember, a lot of products from the Holiday catalog will be retiring on January 2nd. Make sure you get all of your "must haves" before they're gone. 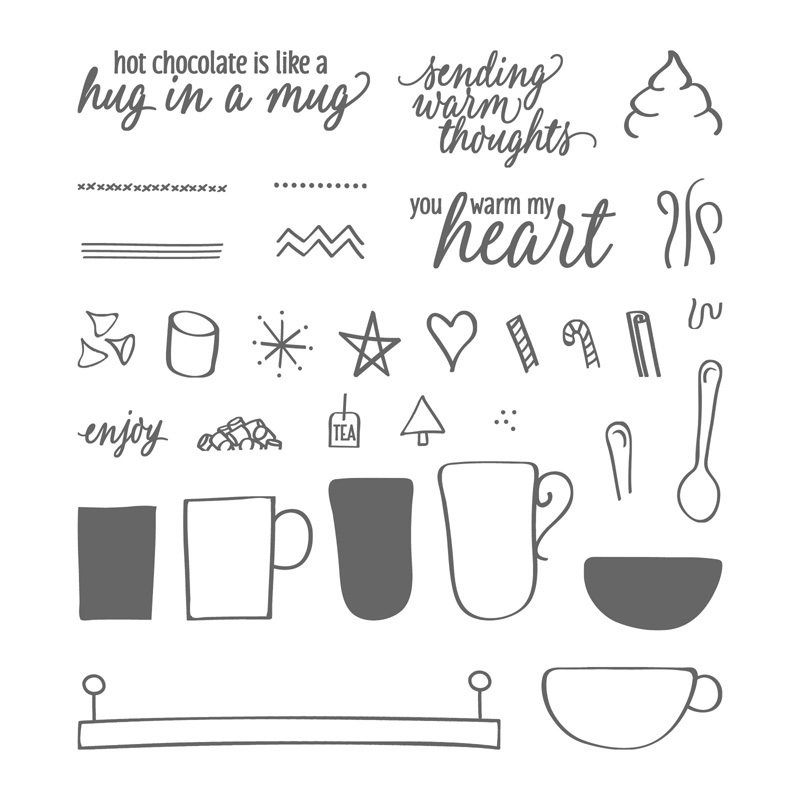 Here's my supply list for this sweet "Hug in a Mug" card. You can find everything you need at my Online Store. Just CLICK HERE. I hope wherever you are that you are warm and toasty. It's beginning to feel a lot like Christmas outside but it's cozy here in the studio today. 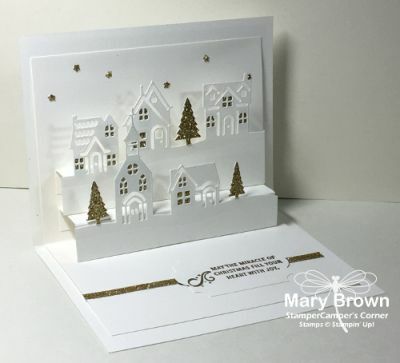 I've been working on cards for some very special people and I thought I'd share one of the designs with you today. 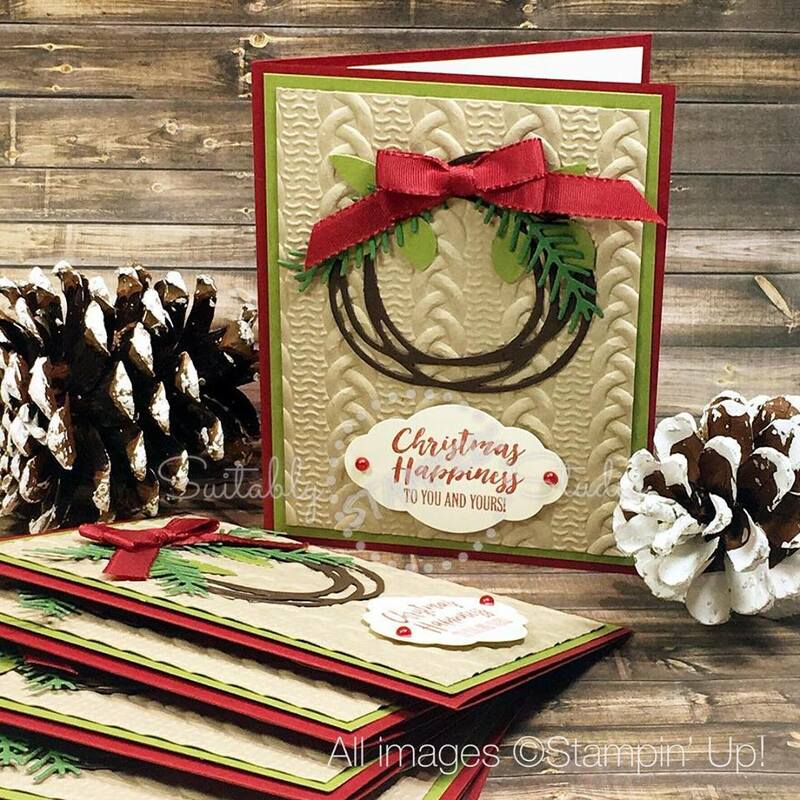 I can't even tell you how much I LOVE the Cable Knit Dynamic Embossing Folder. Ugh! It's it GORGEOUS! It's the perfect background for this card. Don't you think? The supplies I used are listed below. 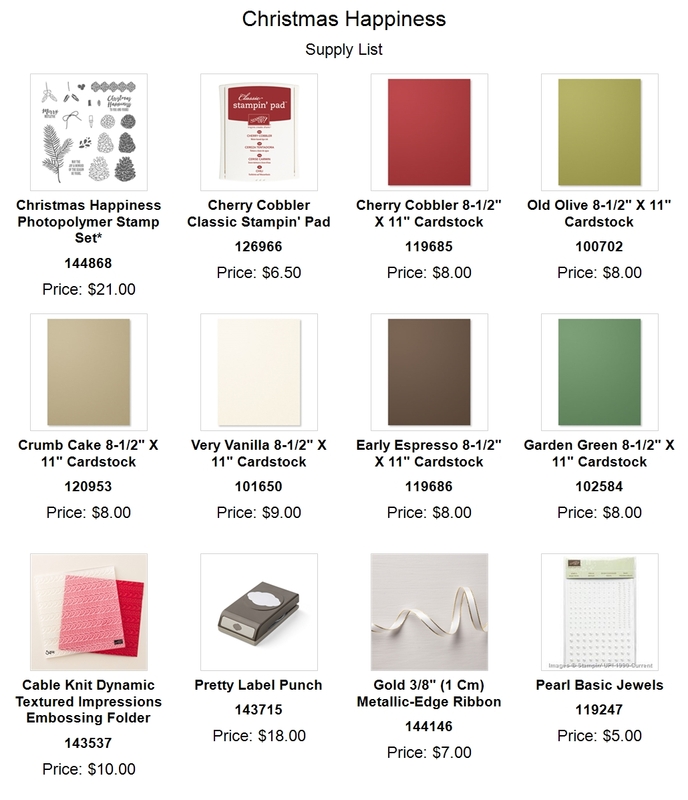 Remember, if there are any of the supplies you'd like to purchase, just click go right to my Online Store by CLICKING HERE. OOPS...I forgot to mention that the ribbon on the original card happens to be retired. I substituted a gorgeous alternative though that you'll love. It's in the supply list. 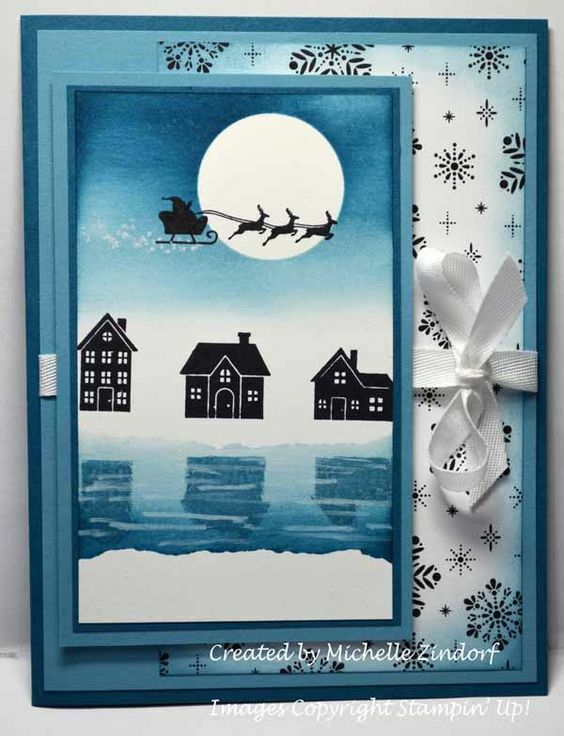 What are you working on for the holiday? I'd love to see! It's a great day to have a GREAT day! 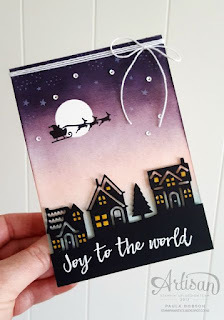 If there's one thing that I LOVE it's buying stamps and accessories that can transition from season to season. Get the most "bang for your buck"! Right?? But as I said....it would work perfectly all year through. If you'd like to order them, just click the links below the images above and you'll go right to my Online Store. Easy, peasy! **To ensure that your orders for the holidays arrive in time, you'll need to place them on or before December 14, 2017. 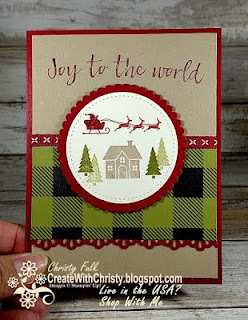 Your FREE TUTORIAL for the Merry and Bright card is just below. Wishing you a wonderful week ahead with plenty of time to get your fingers inky. · Die cut the 4” x 4” Whisper White layer through the Big Shot with the edge lit that has the bigger houses. 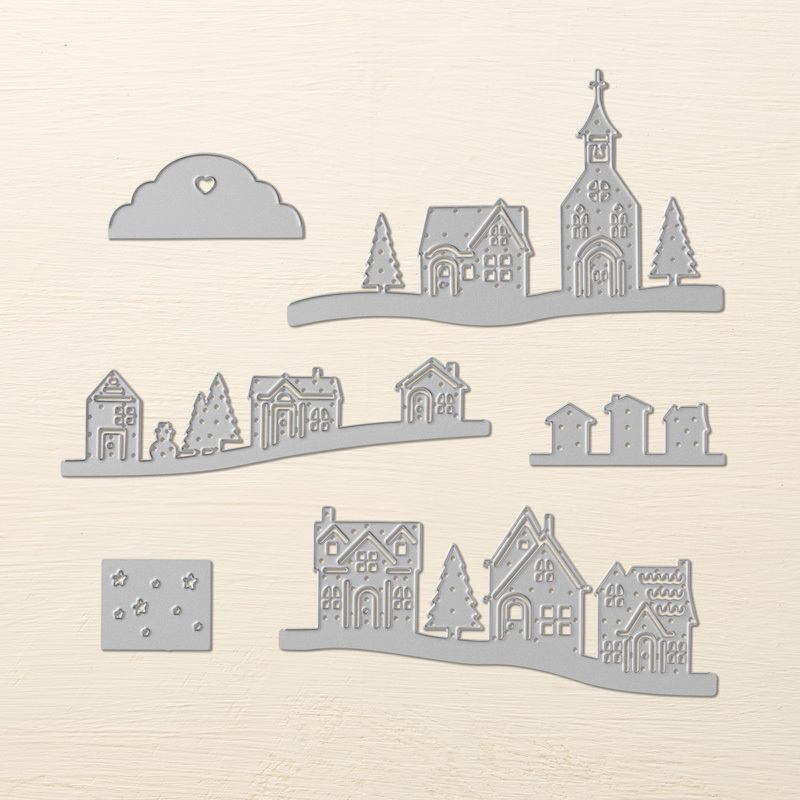 · Adhere the die cut layer to the DSP layer about 1/4” from the top. · Die cut the smaller houses on the 4” x 2” layer of Whisper White cardstock and adhere to card front where shown with Stampin’ Dimensionals. · Wrap the Whisper White Solid Baker’s Twine around the DSP layer three times, tying in a bow at the left. · Stamp the MERRY & BRIGHT in Tuxedo Memento Black ink on Whisper White scrap - die cut using the Stitched Shapes Framelits oval. 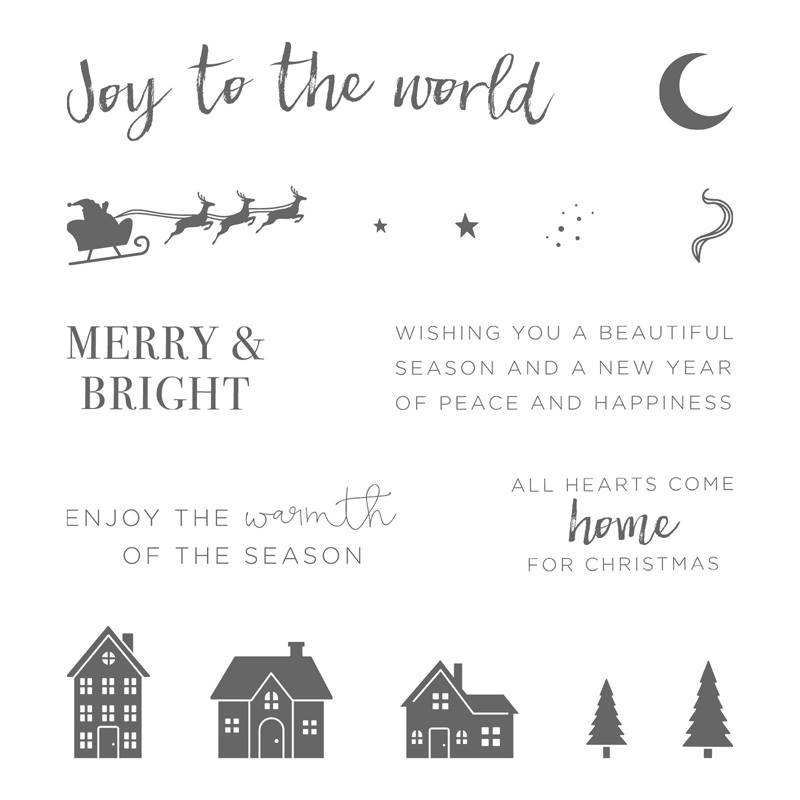 · Stamp the small star above the greeting with Cherry Cobbler ink. · Die cut a scalloped oval from the Layering Ovals Framelits and a scrap of Cherry Cobbler cardstock. 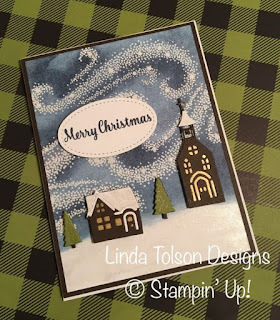 · Adhere greeting layer to scalloped layer and then the card front where shown with Stampin’ Dimensionals. · Add DSP to Old Olive card front. 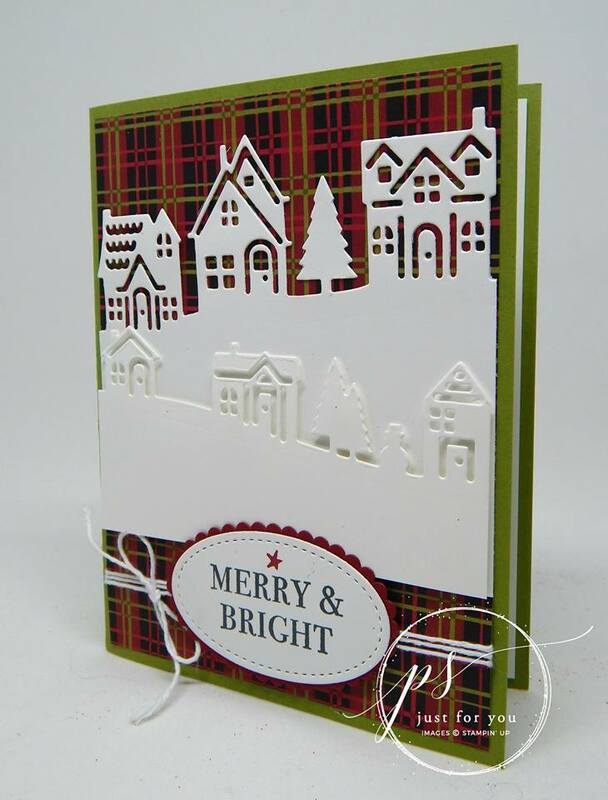 · Stamp a greeting on the 4” x 5-1/4” Whisper White layer and add a couple of the houses to the bottom to spruce it up.